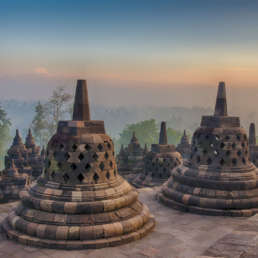 Travel history to visit Prambanan Temple, Borobudur, another interesting place in Yogyakarta as well as adrenaline testing with the Merapi Lava Tour. 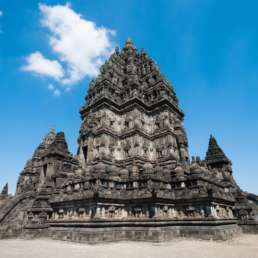 Yogyakarta is one of the places famous for its spectacular historical heritage. Starting from the temple building to various interesting cultures that can be learned. 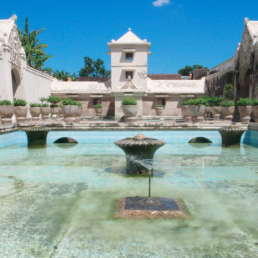 Jogja's cultural and historical tour packages will give you valuable experience in the history of Yogyakarta. 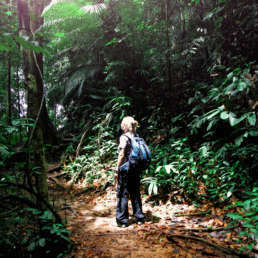 The Indonesian team will pick you up at the place that will be agreed upon beforehand. 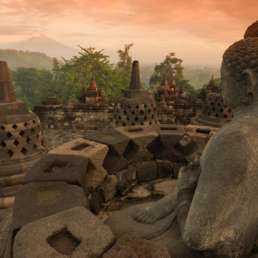 Start the trip to Borobudur temple to better recognize the largest Buddhist temple in Asia with the story of the Buddha's journey beautifully engraved on the temple walls. Next to Ketep Pass, a viewing post where we can see the view of Mount Merapi and Mount Merbabu while enjoying the cool air at the foot of the mountain. 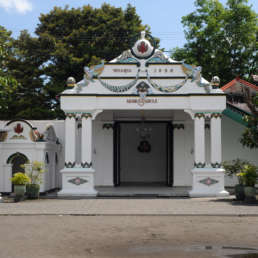 The next trip is headed Malioboro street, a shopping center in the city of Yogyakarta for shopping trips. You can find cheap batik clothes and beautiful knick-knacks as souvenirs. After being tired of shopping, we will have dinner at Retoran option. After dinner, head to the hotel - check in - free program. After breakfast at the hotel, we will start the journey to Kaliadem for L tourava Tour Merapi. 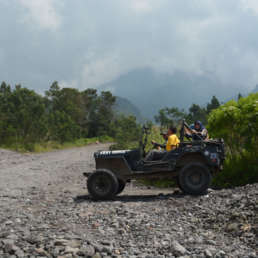 Exploring the slopes of Merapi while enjoying the natural beauty and gallant of Mount Merapi up close. 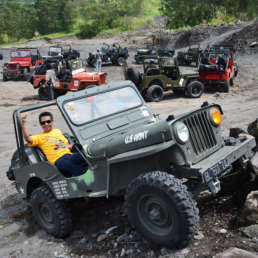 The Jeep will take us to Kaliadem Bunkers which was originally planned for use as a hiding place during the Merapi eruption. 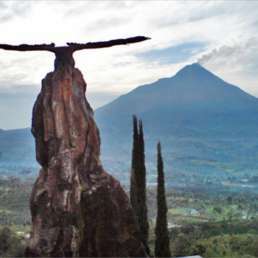 Continue visiting My Time Museum to commemorate the eruption in 2010, and Alien Stone. Lunch break at a local restaurant. 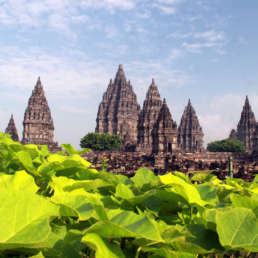 After enjoying lunch, we headed Prambanan temple and enjoy the beauty of the highest Hindu temples in Asia. 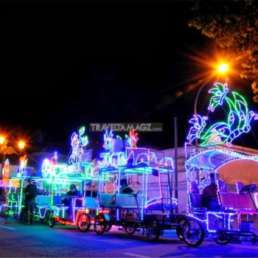 Next go to Kidhul Square or more popular as Alkid and is one of the favorite places for night tours in Jogja. Here, you can surround the square by riding a decorative bicycle that is beautifully designed. Lunch and dinner at a local restaurant. After enjoying dinner, head to the hotel to check in. Free program. Breakfast at the hotel, then check out. 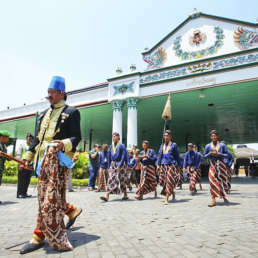 Start the journey to Yogyakarta palace which is the residence of Sri Sultan Hamengkubuwono and his family. 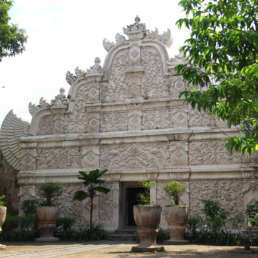 In Keraton we can study Javanese culture in the museum and watch some interesting Javanese architects. 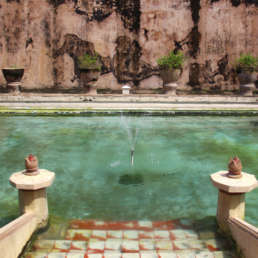 Next to Tamansari - a flower and water park belonging to the Yogyakarta Palace which was used as a place of recreation as well as a fortress. 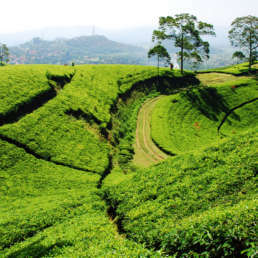 The last destination, towards the center of souvenirs typical of Yogyakarta. Lunch will be prepared at a local restaurant. Tour completed - we will take you to the airport / station.